Where Have All The Quote Marks Gone? How will readers e’er discern? How will they ever discern? Coelho’s latest novel, Adultery, the act itself the subject of countless stories of varying value, perpetuates quite a few more such clichés. But unlike Manuscript Found in Accra, this volume has a storyline. This time we’re in Geneva, Switzerland. Linda, who claims she’s “a highly regarded journalist,” narrates the story of a happy but boring marriage. Linda commits adultery, despite, by her own admission, being married to a loving and unbelievably understanding but unnamed husband. 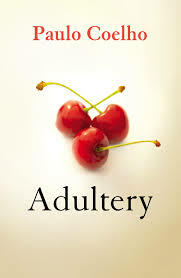 You can read my review of Coelho’s Adultery by clicking on the image below. With this big collection of ghost stories, Vollmann haunts the literary territory Henry James explored in The Turn of the Screw, Charles Dickens in A Christmas Carol and, more recently, the prolific Joyce Carol Oates in “More Tales Than I Care to Count.” Don’t let my mention of James, Dickens or Oates fool you – Vollmann is Franz Kafka. He’s William Burroughs and Thomas Pynchon skinny-dipping in a post-postmodern Vollmannesque ectoplasm. You can read my review of William T. Vollmann’s Last Stories and Other Stories in the edition of the San Francisco Chronicle by clicking on the image below. 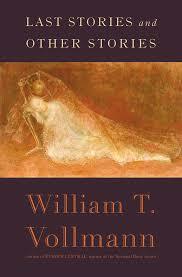 You can buy Vollmann’s Last Stories and Other Stories at Barnes & Noble.